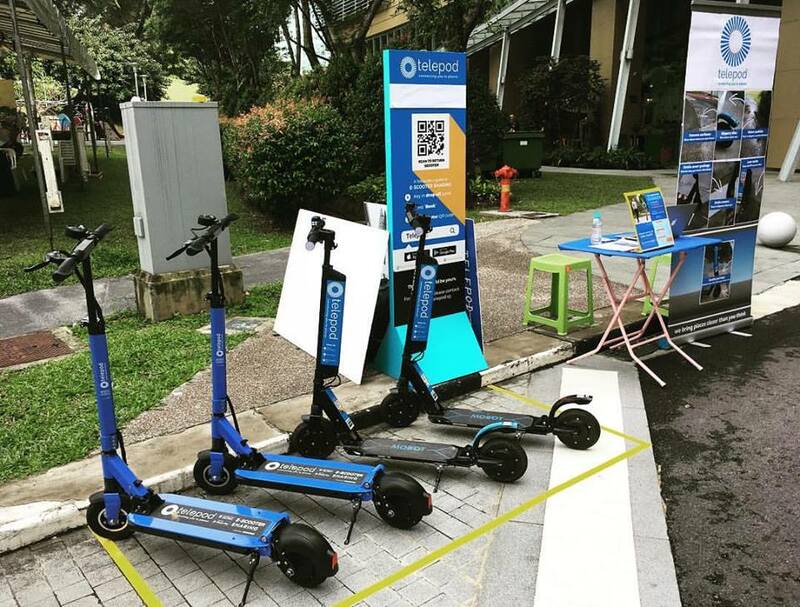 Telepod, the local e-scooter sharing startup founded by five National Technological University (NTU) alumni in 2016 and officially launched in June 2017, has closed its fundraising round today (11 April). Its e-scooters, that are available at various locations across the country, have served 75,000 rides across NTU, the one-north district, and the Central Business District. Investors include MomentUM – SMRT Corporation’s venture and incubation platform – Bravio Capital, Quest Ventures, and two unidentified angel investors. The funds raised will equip the company with the logistics and technology to further expand islandwide this year. Ms Gan Jin Ni, CEO of Telepod, said they will be launching the next-generation of Telepod e-scooters which are designed to increase the scooter up-time and lifespan, thereby reducing maintenance and operations work. Telepod’s mobile app allows users to unlock e-scooters easily, just like other bike-sharing apps, and investors saw the value of that mobility network especially with the increasing popularity of e-scooters. Ms Gan explained that she sees significant opportunities for the Telepod system to be part of the government’s mission to make Singapore a car-lite society. With the recent rules to curb indiscriminate parking of bicycles by bike-sharing companies and stricter e-scooter rules, the company is working with LTA to ensure their fleet and users meet safety standards and traffic rules. This is where Telepod introduces PROXIMA, a QR codes system that is currently in the process of getting patented. PROXIMA ensures users park the scooters at “designated parking areas without the need to set up docking stations or physical infrastructure”, the statement described.